Handmade in Los Angeles by Ballistic Metal! 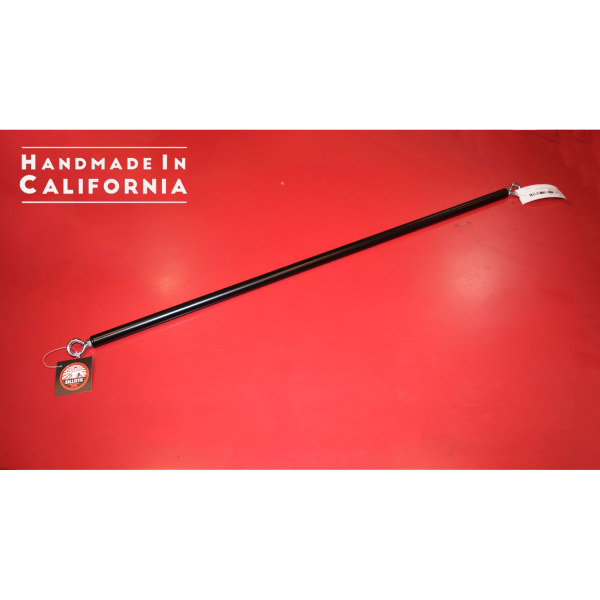 Fixed spreader bar that is 30″ in length in a beautiful black stainless steel. This is serious handcrafted quality. This versatile piece allows you to use your complete imagination and attach whatever cuffs or chains you want!